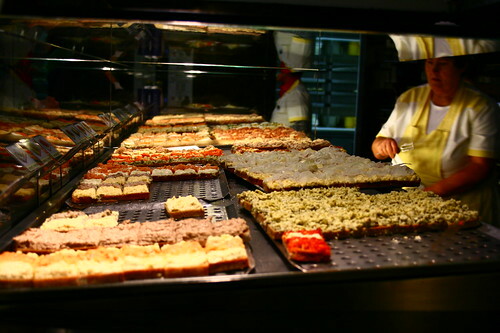 When in Vienna… | tasty treats! Entry filed under: cafe, europe, travel. 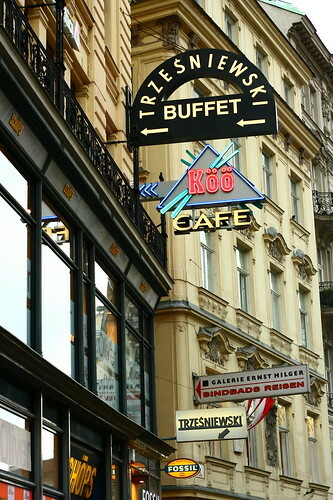 Tags: apfelstudel, austria, Café Braunerhof, cafe, coffee, kaffeehaus, melange, Trzesniewski, vienna. 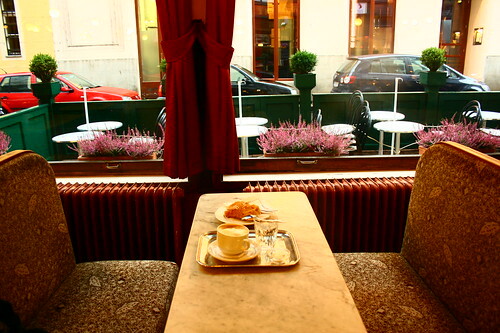 Oooooh, Vienna’s on my list of places to go. Poor Blai knows that when we end up there, there’ll be a visit to a different cafe each afternoon! Alice – Thanks for the tips! I just came back from breakfast at Osterreicher im Mak – gorgeous place. 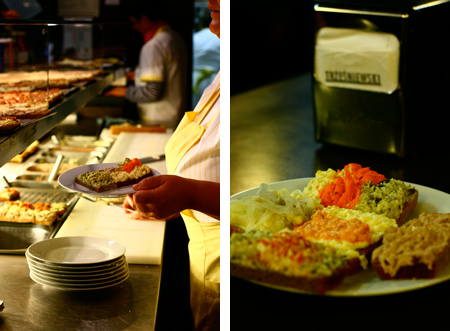 I wish I had time to try the Viennese dishes for lunch/dinner! Am making it my mission to come back again one day already. Su-Lin – You simply must make it a priority. It is absolutely amazing, and all the cafés have such different characters! Helen – Haha, I only managed one day! I can see why you’d prefer to just do it all when you come back from HK/China/Macau! 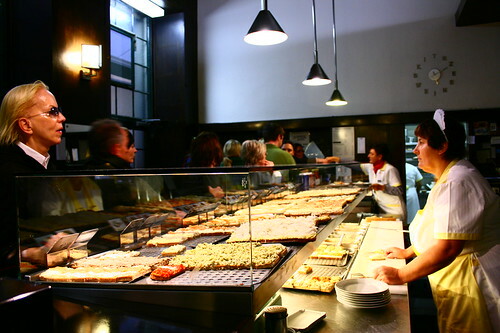 Hope your friend will find it useful.. actually, ChubbyHubby’s Vienna guide is pretty good as well (http://chubbyhubby.net/blog/?p=277). I might try it once if I have time…Thanks for the link, I’ve sent it on. What an impressive guide! Great Pictures. I miss Vienna. It’s time to spend more time there. Great postings and terrific Vienna photos on your flickr account. I love Trzesniewski! 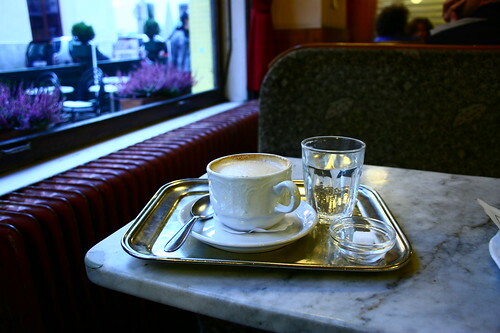 It’s also close to another one of my favorites: Julius Meinl. 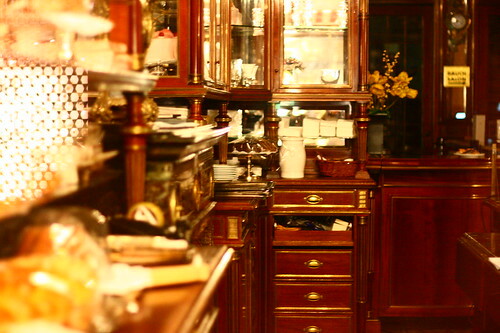 H. Peter – I’m starting to miss Vienna, too – especially when I’m back in hectic London! i’m really hooked on ur food blog with all the nice superb pics and intros of places u’ve been to and recommendations for food haunts…i came across ur blog during my research for my upcoming first trip(discounting the numerous childhood trips i took before age 10 which i can’t rem now) to hong kong n will def look into n try some of the places u’ve been to n recommended!! keep up the fantastic blog n looking forward to coming bck to visit ur blog oftn! I was in Vienna for a few days in 1986. I still remember the delectable open-faced sandwiches in the shop just down the road from the main cathedral of the city. It must have been Trzesniewski!